Lebanon seems a country in the grip of permanent crisis. In recent years it has suffered blow after blow, from Rafiq Hariri's assassination in 2005, to the 2006 July War, to the current Syrian conflict, which has brought a million refugees streaming into the country. This is an account not just of Lebanon's high politics, with its endless rows, walk-outs, machinations and foreign alliances, but also of the politics of everyday life: all the stresses and strains the country's inhabitants face, from electricity black-outs and uncollected rubbish to stagnating wages and property bubbles. Andrew Arsan moves between parliament and the public squares where protesters gather, between luxury high-rises and refugee camps, and between expensive nightclubs and seafront promenades, providing a comprehensive view of Lebanon in the twenty-first century. 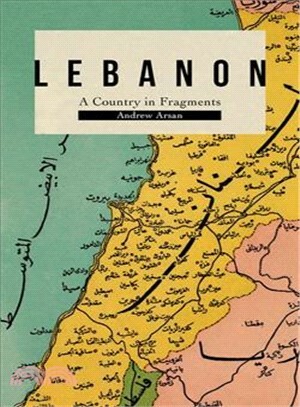 Where others have treated Lebanon's woes as exceptional, a by-product of its sectarianism and particular vulnerability to regional crises, Arsan argues that there is nothing particular about Lebanon's predicament. Rather, it is a country of the age--one of neoliberal economics, populist fervor, forced displacement, rising xenophobia, and public disillusion. Lebanon, in short, offers us a lens through which to look on our times. Andrew Arsan is University Lecturer in Modern Middle Eastern History at the University of Cambridge and a fellow of St John's College, Cambridge. His first book, Interlopers of Empire: The Lebanese Diaspora in Colonial French West Africa was joint winner of the 2015 Royal Historical Society Gladstone Prize.